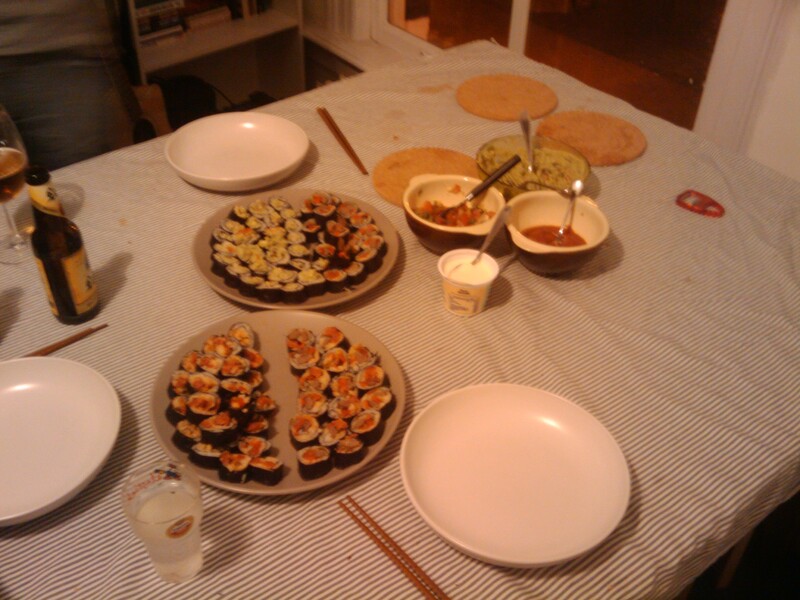 A while ago I thought up the idea of combining Mexican food with sushi. I thought I probably wasn’t the first one to come up with that idea, and Google confirmed that I was right. But still, the Google hits for “Mexican sushi” ranged from not sushi at all (basically burritos sliced into chunks) to rolls served at actual sushi places. One was even a recipe on a vegan blog which started out with a rant against both eating out and eating animals, which I refuse to link to. 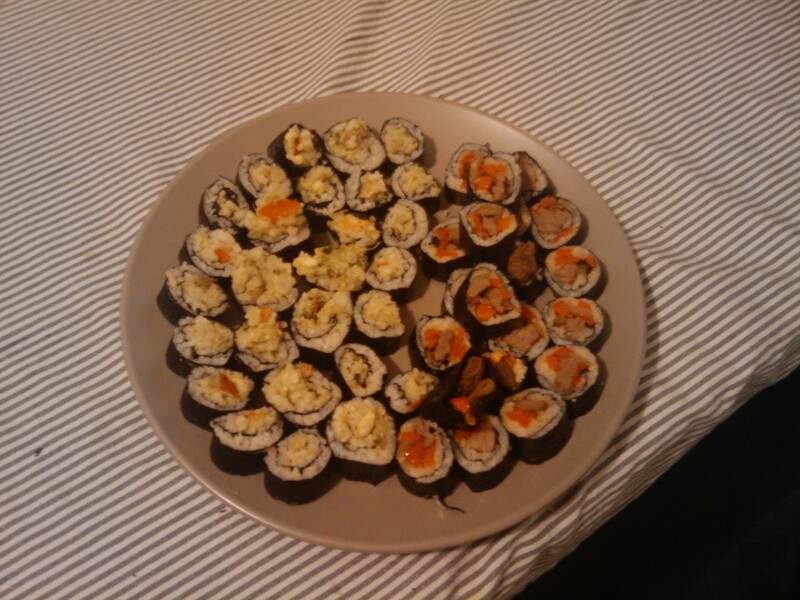 However, if non-sushi and vegan Mexican sushi recipes can get in the top Google results, then I figured I at least had to try to improve upon them. I was even so convinced that it would be tasty, that I decided to try it out on a guest for the first time. In fact, a discerning dinner guest. My friend Remco (who has already twittered pictures of this, of course) also likes to cook and neither of us has any reservations in mercilessly critiquing food. On the evening itself, my housemate Tom also decided to join in. What I’d planned on was probably more Tex-Mex than Mexican, but minus all the deep-frying. The fillings would be guacamole, something with chorizo, and black bean chili. I ran out of time for the chili so I made something simple instead: seared strips of beef, red pepper, and onion. 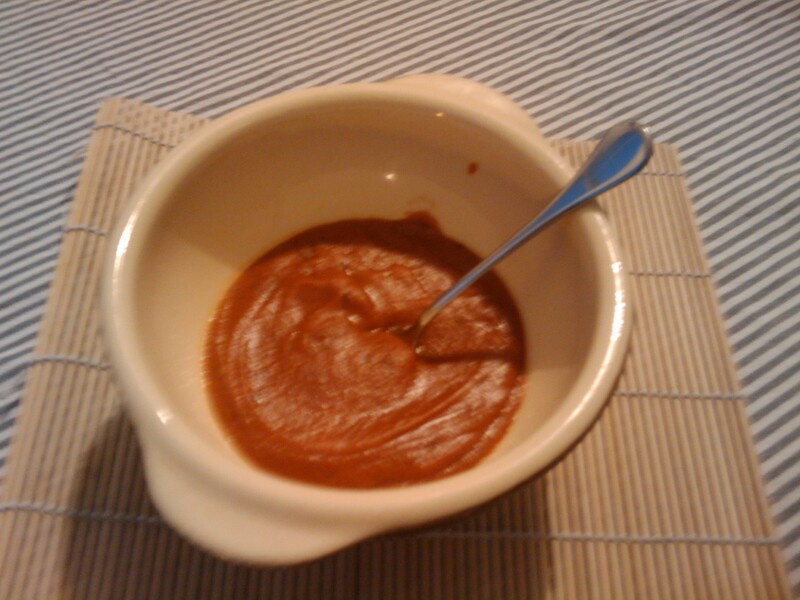 I figured I’d make a variety of dipping sauces to replace the soy sauce and/or wasabi: salsa, enchilada sauce, and sour cream. 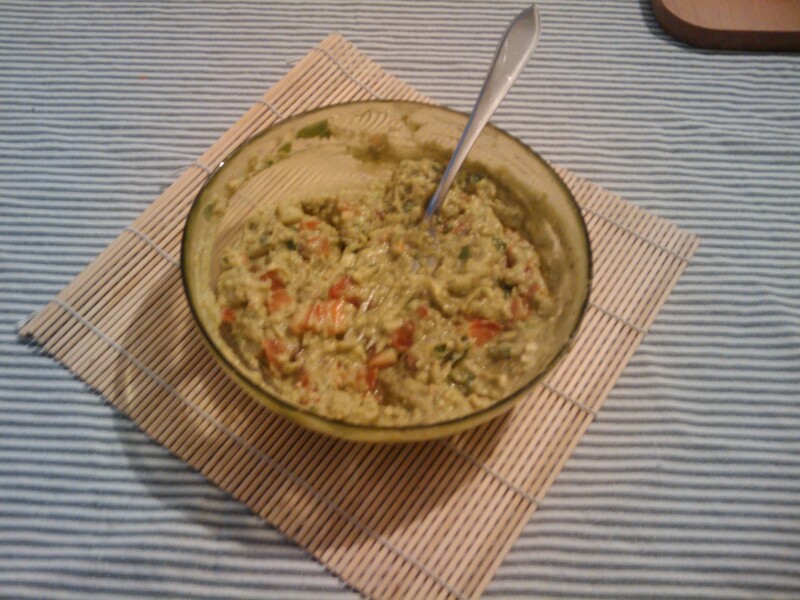 The guacamole filling also worked well as a sauce. How did it work out? I thought the nori worked quite well with the fillings. The fillings all had a lot of flavors in common though, so next time I would definitely go for the black bean chili, and perhaps add something else that was different, like migas. Also, there was no cheese involved whatsoever, which is a little strange for Mexican food. Here are the recipes I used. Most of them are originally based on Internet recipes. As I make this dish again, I’ll go back and update them. Rinse the rice and bring it to a boil in the water, in a pan with plenty of room for expansion. Once it boils, turn the heat down, cover, and leave for 15 minutes. Remove from heat and leave for another 10 minutes. Mix the remaining ingredients and pour them over the rice. Mix well and leave in the refrigerator until needed. I originally wanted to leave out the sugar, since I thought it wouldn’t combine well with the cumin and coriander. I didn’t know, however, that rice vinegar is really rank! It needs the sugar to make it palatable. I made the mixture without sugar first, but it smelled nasty, so I panicked and mixed in the sugar, hoping I could save it. I probably ended up putting in too much, but after that it tasted OK.
Mash the avocado pulp with the lime juice and the salt. Mix in the other ingredients. Sauté the chorizo in the olive oil, then add the onion and garlic. 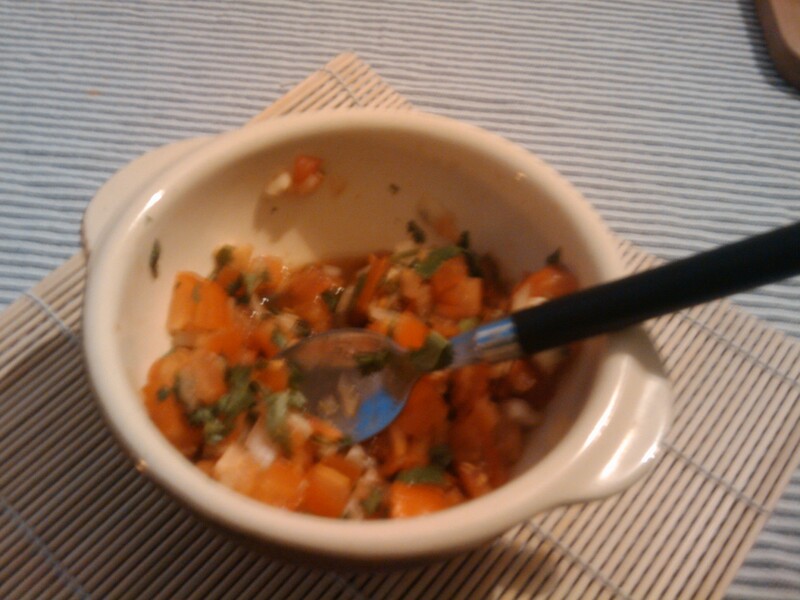 When the onion gets soft, add the tomato and cilantro and keep on the heat for 5 more minutes. This isn’t really a recipe, just something I improvised. 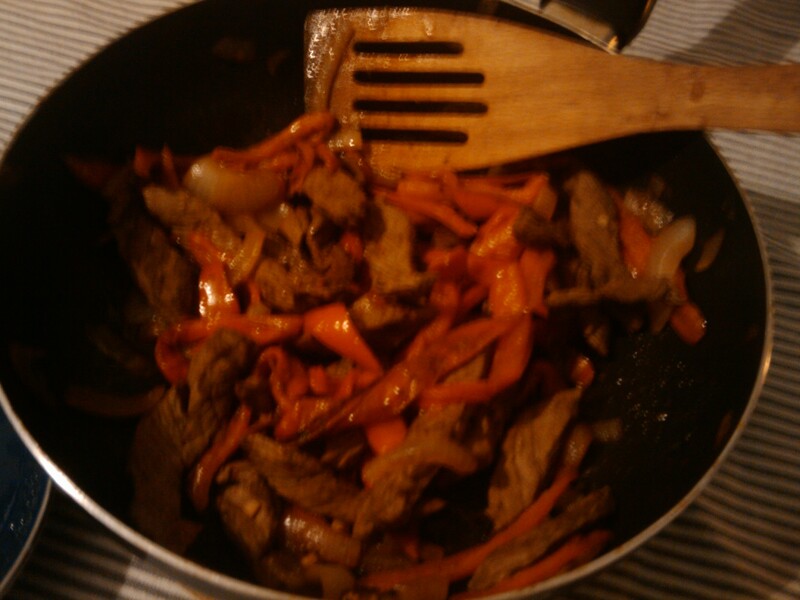 Take strips of beef, strips of red bell pepper, and sliced onions, and sear them in a frying pan on high heat. Mix everything together and let sit in the refrigerator. Make a roux of the oil and flour. Add the chili powder. Then add the rest of the ingredients, stir, bring to a boil, turn heat to low, and cook for 15 minutes. This was originally an Emeril recipe. I’m not sure I like it so much, so I’ll be looking for a different one next time. 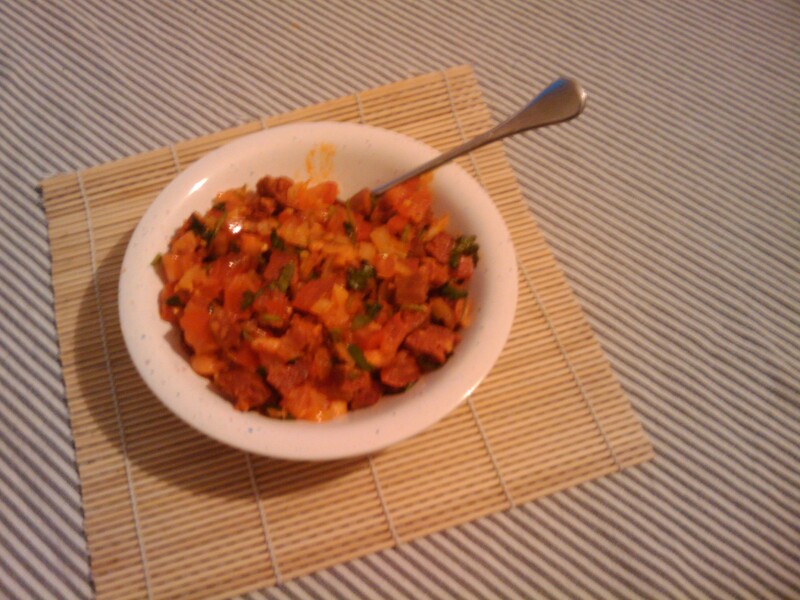 It had a nice texture, but it turned out extremely spicy even for me, and therefore almost inedible for my Dutch guests. Aside from the heat it didn’t have much taste. Also, the “cook for 30 seconds” instruction in the original seems kind of ridiculous. This was the easiest sauce. I’m not going to reprint instructions on how to roll sushi here, either you already know or you can Google it. 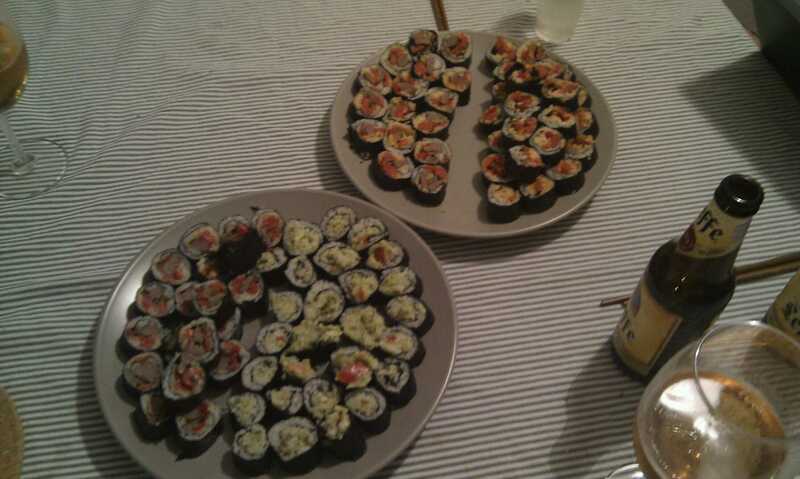 At this point in the proceedings, Remco and Tom came in, so we had a good time rolling the sushi together. In some of the rolls we combined the chorizo and beef fillings — I’m not sure it added anything, but it certainly made all the ingredients come out even with the number of wrappers. All in all, I’d say the experiment was a success, with room for future improvements. 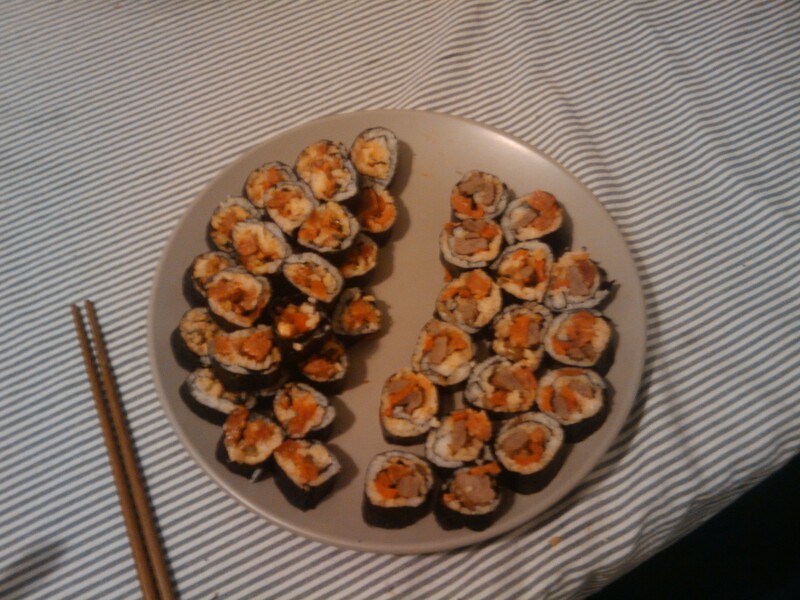 This entry was posted in Light Entertainment and tagged cooking by Philip Chimento. Bookmark the permalink.